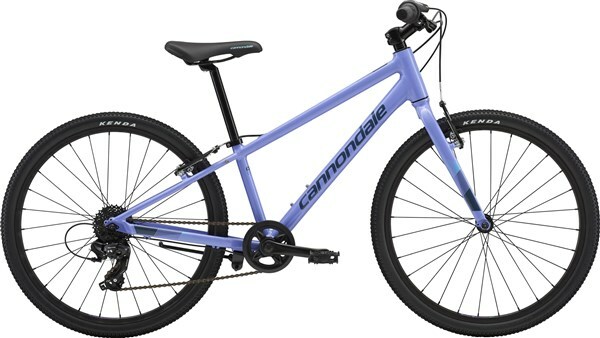 Build the love to bikes with the Cannondale Quick 24w Girls. It features a lightweight SmartForm C2 Alloy frame that makes handling easy, which builds confidence. The V-brakes offer solid stopping power and the Shimano drivetrain has a wide range of gears for getting up hills. Fast rolling tyres make the Quick 24w Girls great on the road. Front Tyre: Kenda, Small Block 8, 24x1.5"
Rear Tyre: Kenda, Small Block 8, 24x1.5"